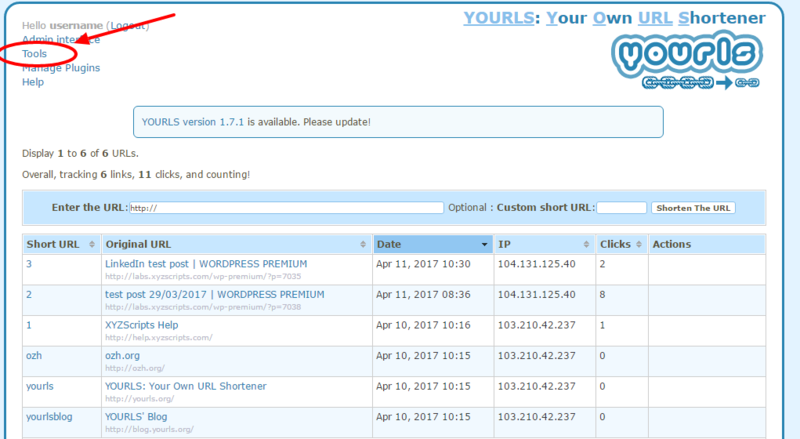 In the “Manage Shorturl Accounts” page you can add the short url API keys. At present we are using 3 short url services, goo.gl, bit.ly and yourls.org. In the list of all api (library page) you can see the URL shortener API. In this page, please click on the enable link and enable the URL Shortener API. Now go to “Credentials” page and click on the “Create Credentials” button. Now select “API Key” from the list. The API key is now generated and you can select the API key. Now enter this API key in the goo.gl setting in the plugin. You have to create a bitly account before filling the details . After creating the account, you can create an access token from the link https://bitly.com/a/oauth_apps. Here re enter your password and click the “Generate Token” link. Now you will get the generic access token. 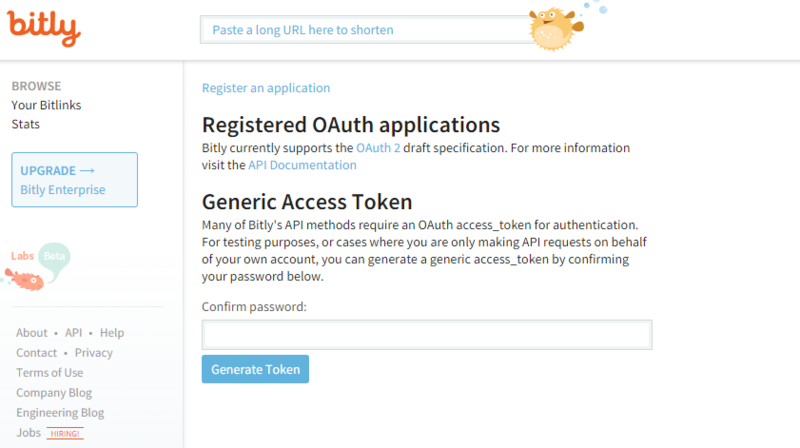 Copy this access token and paste it in the bitly settings in the plugin. Here we have the option to add custom domains with bitly (Branded Short Domains). This is a free php script and you need to this pack in your server first. After installing the script in the server, please login and click on the “Tools” link. 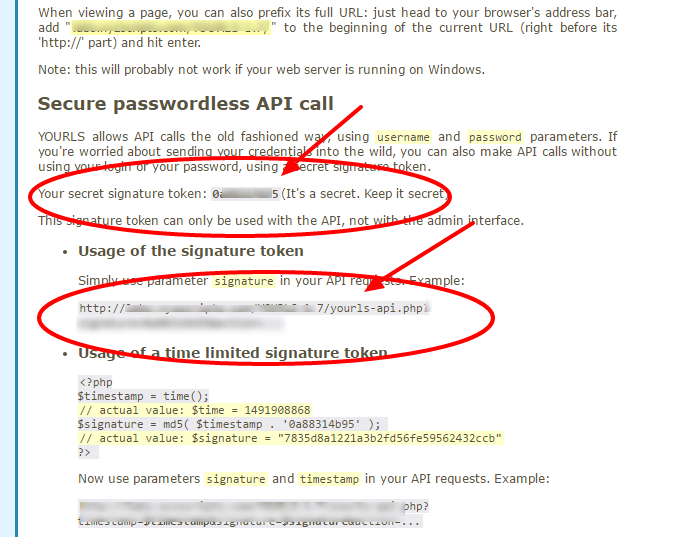 In the “Tools” page you can see the signature and URI. Now place these details in the plugin settings. You can select the required URL shortener from the dropdown under the option ‘Url Shortener to be added’ in the account settings page.